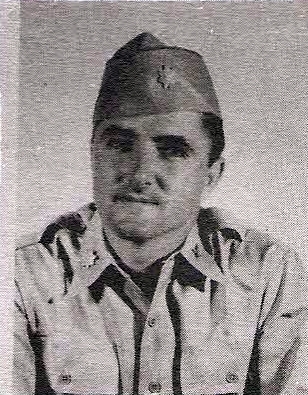 Maj. Ellis E. Furr, son of Mr. and Mrs. Adam Furr, Olney, husband of Juanita Hawkins, graduate of Texas A&M. Entered AAC, 1941, trained at Sheppard Field, Texas. Served in Australia, New Guinea and Philippines. Awarded APO, 3 Bronze Stars, PL, 1 Bronze Star, AD, ATO, and Victory Medals. Discharged in 1946.